What was life like in ancient Rome? Around 2,000 years ago, the city of Rome was at the centre of a huge empire that stretched from Scotland to Syria. At the peak of its power, Rome ruled more than 45 million people across Europe, North Africa and Asia. Its army was the most powerful in the world, and as it conquered more land, Rome grew from a town into an enormous capital. Ancient Rome was home to gleaming white marble temples, lavish palaces and spectacular gladiator shows. With over one million people living there, the city was also a dirty and dangerous place, with a maze of side-streets and slums. The Romans had a story about how their city began. 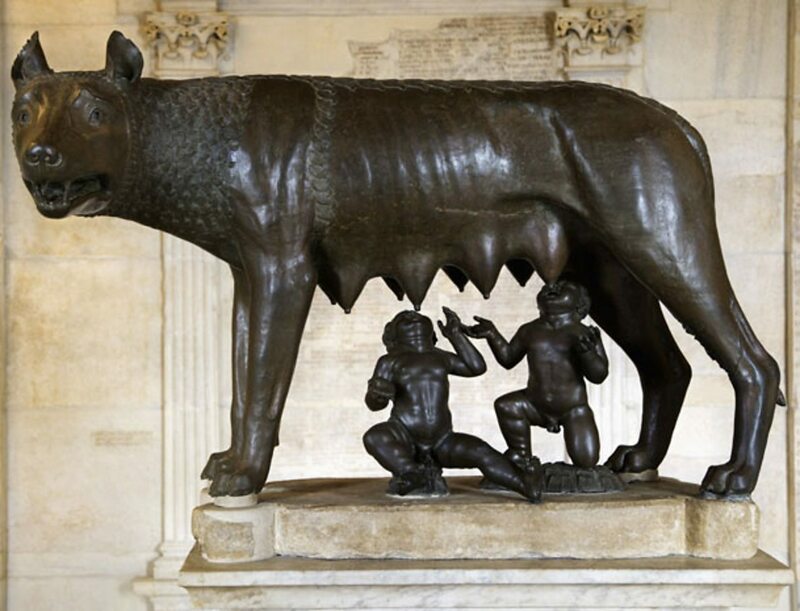 According to legend, Rome was founded by twin brothers, Romulus and Remus, who were the sons of the god Mars. As babies, the boys were left to drown in the River Tiber by their evil uncle, but they were rescued by a wolf. When the boys were older, they took revenge on their uncle and killed him. Afterwards, the twins decided to start a new city, but they squabbled about where to build it. Romulus wanted to build it on the Palatine Hill and Remus preferred the Aventine Hill. To find out who was right, they looked for a sign from the gods. However, they couldn't agree on that either and both thought the gods were favouring them. One day, the twins got in a fight after Remus made fun of Romulus. Remus was killed and Romulus named the new city 'Roma' after himself! This bronze sculpture of the wolf that rescued Romulus and Remus was made in about 500BC. The babies were added in the AD1400s. In the early days, Rome was ruled by kings. Romulus was supposedly the first king. The last king was Tarquin the Proud. He ruled until 509BC, when the people of Rome drove him out. Rome then became a republic. The republic didn’t allow one person to have complete control of the city. Instead, a group of men called senators shared power. As the Roman republic grew more powerful, so did its army. The senators could not always control the army and sometimes they clashed with the generals. In 49BC, Rome’s greatest general was Julius Caesar. He had complete control of the army, but he wanted to rule Rome like a king again. Some senators didn’t like this and they killed him in 44BC. But it was too late, Julius Caesar had changed Rome. A few years later, his adopted son Octavius took power and became the first Emperor of Rome. The two most powerful people in the senate were the consuls. 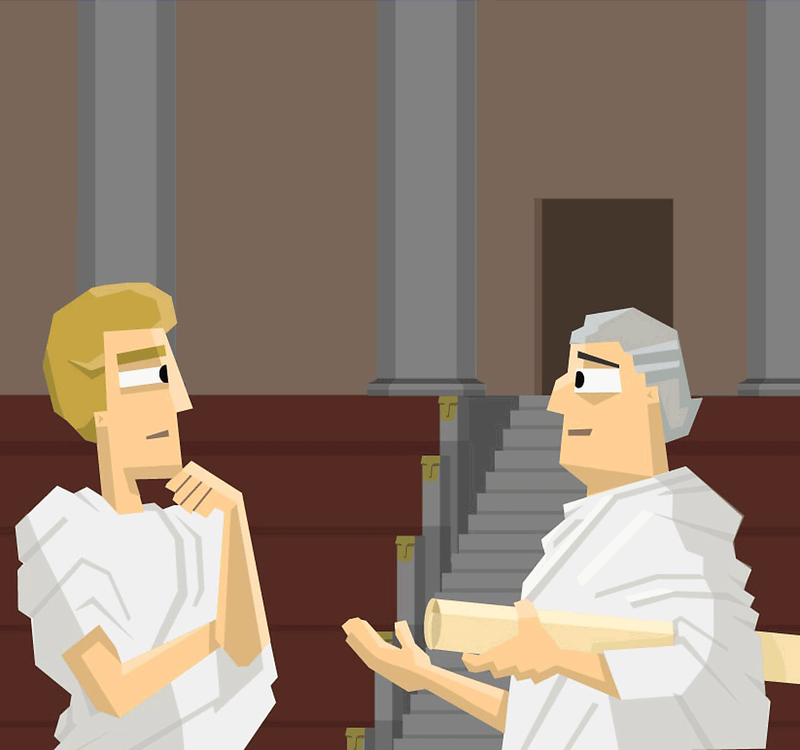 Every year, the citizens of the Roman Republic voted for who they wanted to be consul. The emperor ruled over the Roman Empire, a bit like a king. Find out below about some of the emperors who influenced Britain. Find out below what the Romans liked to do in their spare time. What did the Romans believe? The Romans had lots of different gods and goddesses. There were gods for almost everything, like thunder, love, war, wisdom and even the sewer in Rome. The Romans were always trying to keep on the good side of their gods. They made offerings at temples and shrines to make them happy. They also borrowed new gods from the people they conquered, like the goddess Isis from Egypt and Mithras from Iran. Some emperors were declared gods too, usually after they died. They hoped this would make emperors even more powerful and respected. Later on the Romans became Christians. Christianity was made the official religion of the Roman Empire by the Emperor Constantine in the 4th century AD. Before then, Christians got into trouble because they refused to worship the emperor as a god. Some Christians were arrested and put to death. How did the empire end? At the beginning of the 5th century, the Roman Empire was starting to fall apart. It was constantly under attack from tribes from northern Europe. The Romans called these people 'barbarians' because they thought they were uncivilised. 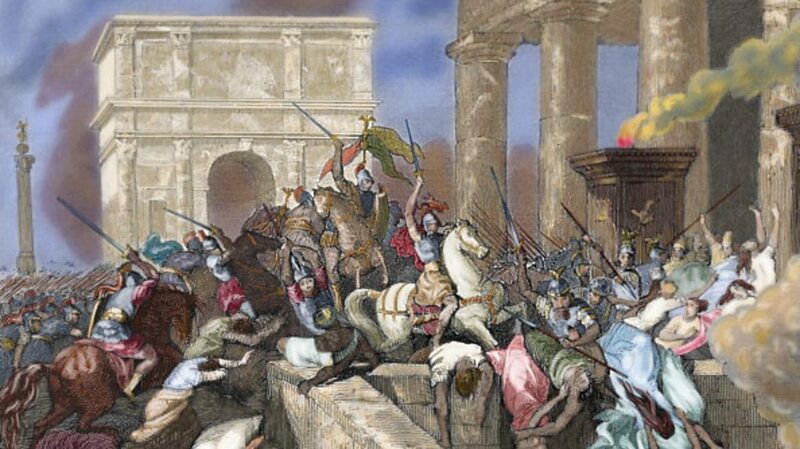 In AD410, a tribe called the Visigoths stormed into the city of Rome. They destroyed many of the great buildings and killed people as they went. Romulus Augustus, the last Roman Emperor, lost his power in AD476. He was replaced by a prince from Germany called Odovacar. From then on, the area that was once the empire was ruled by a collection of kings and princes from outside Italy.